In late 2005, The Rake formed in a thread in the /b/ board of 4chan. “hey /b/ lets make a new monster” An Anonymous poster stated. The thread looded with ideas that later shaped and became the Rake. In July 2006, blog post by Something Awful user Brian Somerville gave an account of the Rake that would serve as the background of the Rake. The story includes several accounts of the creature, some historical and one very moving story of a wife fearing for her life after the rake took her child and husband. All other reference of the rake would forever be based in this piece of internet literature. 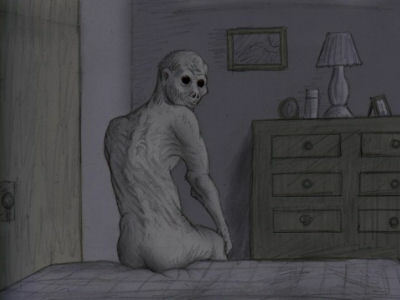 The rake is described as a naked man, or large hairless dog of some sort that crawls around on all fores and moves in an unnatural way, as if it had been hit by a car or something. 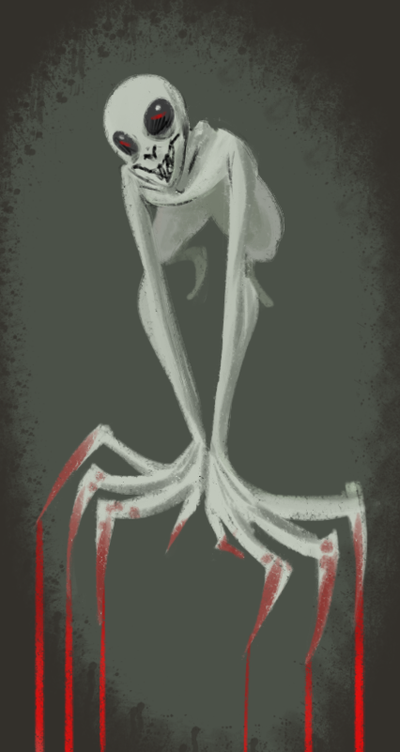 It tends to whisper to it’s victims, possible with a form of telepathy. Sometime depicted as a mindless violent beast, other times it seems to be more calculating as it tortures its victims by it’s presence. The rake has made apearances in EverymanHybrid, a fiction web series in the episode “Cops checked no body” “-.-.” and “Jim Thorpe” The rake has racked up a respectable body count. Now where the entire things takes a turn for the strange. This image showed up on the news and sent in anonymously. Some claim it to be a photoshop hoax, some say it looks like something from the game resistance 3. Though a google search i can see there are a few eyes missing for that to be the case. Maybe the internet got it right and Rake is really out there? Most likely though just a really good Trollololol. Anyway, it’s a good entry into Internet Mythology.